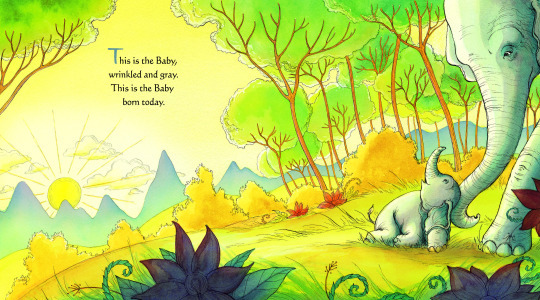 This Is Our Baby, Born Today, by Varsha Bajaj; illustrated by Eliza Wheeler; Nancy Paulsen Books, $16.99, 32 pages, ages 1-4. What do you get for the newborns who, unbeknownst to them, have everything awaiting their arrival? 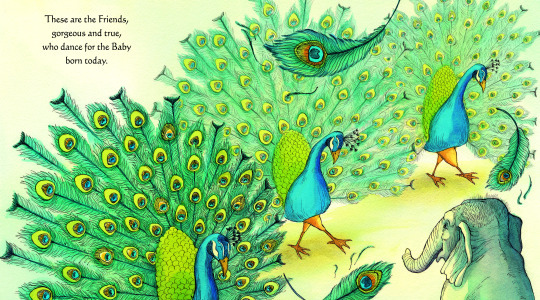 Rather than saddle expectant parents with another swaddling blanket or fancy doodad, consider a charming picture book like This Is Our Baby, Born Today. 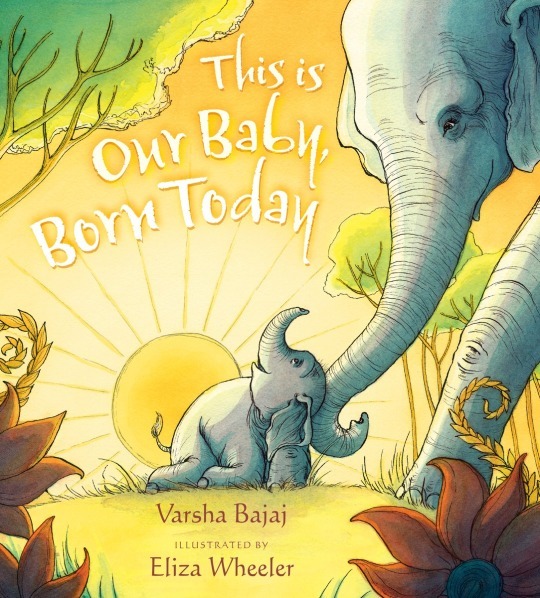 Varsha Bajaj’s poetic ode to new beginnings chronicles the arrival of a baby elephant while celebrating the joy of life and the importance of family and friends. This pint-sized pachyderm is cuddled and caressed by its doting mama and a menagerie of exotic visitors. (The baby’s gender isn’t offered, and it doesn’t matter whether we’re reading about a boy or a girl, the point is the same–babies are gifts, to be treasured and nurtured and loved.) Older readers may recognize Bajaj’s name; her debut effort was the critically-acclaimed middle-grade novel Abby Spencer Goes to Bollywood. 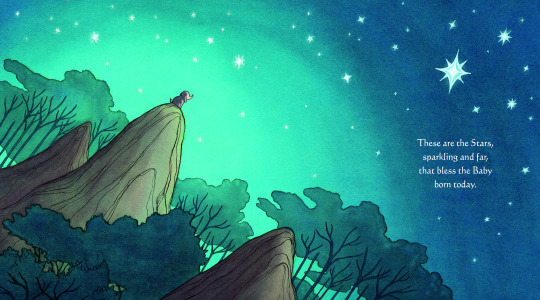 Lush, full watercolors by New York Times bestselling illustrator Eliza Wheeler bathe the characters in a warm jungle glow, no doubt infused with the love that surrounds and embraces this happy elephant family.